Las Vegas headliner Terry Fator captures the hearts and funny bones of America … More Terry Fator info. A Prairie Home Companion’s Radio Romance Tour 2013 hits the road … More Garrison Keillor info. Two notes. That’s all it takes to recognize the distinctive and soulful voice … More Michael McDonald info. 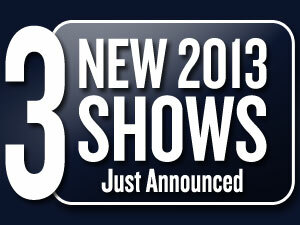 We also have shows by Dana Carvey, Sara Evans, Harry Connick, Jr., and Frankie Valli & The Four Seasons coming soon. See our complete 2013 schedule.